Most children in the United States don’t go for their first dental visit until sometime after their second birthday. The average age for a first visit is around two and a half years old. 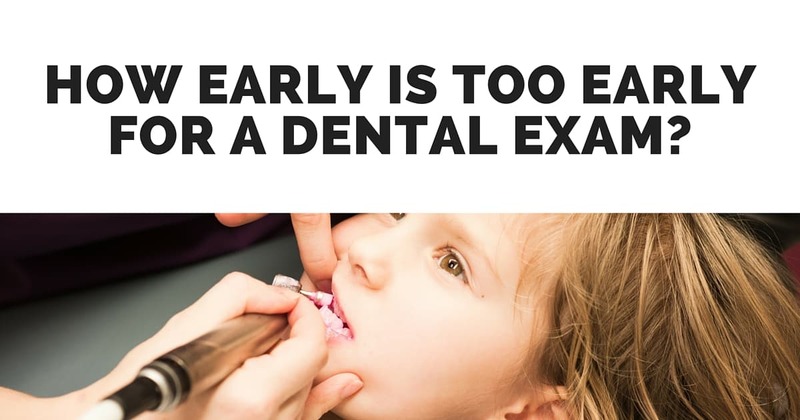 Many people see early dental appointments as a waste of time and money since the child has very few teeth at this point; however, according to the American Academy of Pediatric Dentistry, a child should receive their first dental exam by their first birthday or within 6 months of sprouting their first tooth. According to the AAPD, the primary teeth play an important role in future dental health. Caring for “baby” teeth is crucial because decay in primary teeth can lead to childhood periodontal disease making way for bacteria to erode gums. This can cause a premature loss of primary teeth. Losing primary teeth before permanent teeth are ready to emerge can create spacing problems in adult teeth. Early dental exams are an opportunity to teach children good oral habits which will stretch long into adulthood. Infants are too young to be terrified of the dentist so you can avoid the issue of dental anxiety by getting early dental care. If, however, your child is a little bit older, he or she might experience some anxiety regarding their first trip to the dentist. The best thing you can do is to talk to them beforehand and explain what is going to happen. Most pediatric dentists are really great at making it a good experience for the child and incorporating a little fun into your visit. It’s always a good idea to ask around for recommendations of a good pediatric dentist. For referrals to pediatric dentists and more information for parents please visit My Children’s Teeth (AAPD).